The book begins in the early 1800s and follows the happenings and people of Bagatelle Plantation. 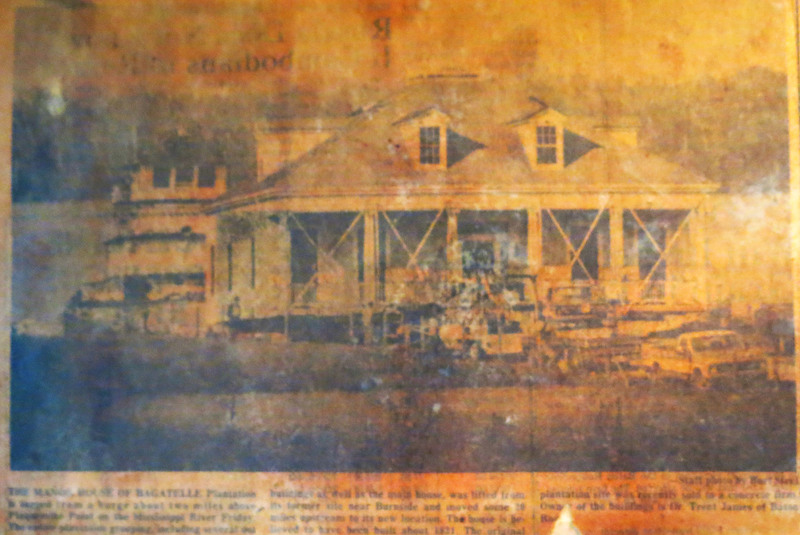 The original Bagatelle Plantation (see picture above) was located much closer to where The Cabin is in Burnside and moved in the 1970s to Plaquemine Point by barge, about 20 miles upriver from Burnside. Originally published in French in 1898, Denuziere’s novel has served as a way to get to know Louisiana for French citizens for the last 100+ years. In fact, when I was working at Bocage Plantation a few years ago, we had French guests who said as much and recommended the book to me. So if you’re on vacation and looking for a good read and are interested in Louisiana history, I highly recommend Bagatelle. You won’t regret it!